We’re continuing to see the beauty and cosmetic market grow - and it’s being shaken up by advances in technology. In this piece, we’ll look at trends in beauty retail and how brands are using technology and service design to meet customer needs. We’ll also take a look at the future for beauty brands who want to keep their customers loyal. 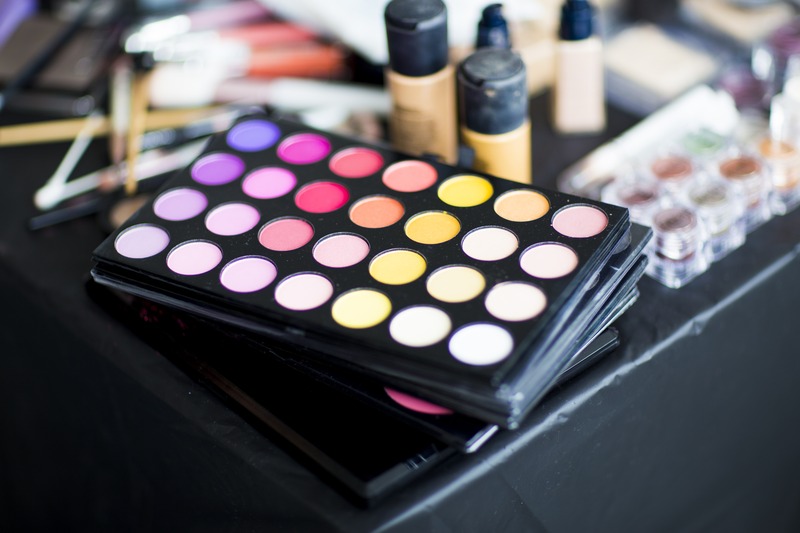 The cosmetics and beauty industry is changing rapidly. According to Statista, the beauty and personal care market will be worth a cool 15.8 billion euros in 2017. The July 2017 retail economics report states that an average of £285m was spent in the UK on cosmetics every week in July, plus sales had grown by 3% year on year. As consumers become more and more familiar with using technology to track their health and well-being, they are looking for beauty brands to offer products and devices that boast similar functionality. The health and beauty industry has seen the popularity and earning power of beauty bloggers rise, along with the advancement of new technology that allows you to apply your make-up virtually, plus several apps that allow you to airbrush your selfies before sharing (along with using Snapchat and Instagram live filters). Amazon released the “Amazon Echo Look” earlier this year, a device which can see and hear you, taking a picture of you and responding to commands like “Alexa, take a picture”. The device also works with ‘Style Check’ which uses machine learning to compare different outfit choices. It’s not hard to imagine a future where Amazon helps with your beauty look too. We’ve also seen changing routes to market including an increase in the popularity of beauty subscription boxes like Birchbox, an increase in successful pure play beauty retailers, and pure play retailers opening physical stores and pop ups. More recently we’ve there has been an arrival of apps that can arrange for a ‘glam squad’ to be on your doorstep at the same speed as an Uber taxi. Beauty products are also becoming more sophisticated, blurring the lines between beauty and tech. According to the Mintel Trends Report published in 2017 - 48% of users would be interested in an app that can track changes to moles or skin. As demand for this type of analysis grows - we could see DNA analysis being refined to assess how the body will age. This may allow consumers to work with manufacturers to help delay or offset chronological changes. The Mintel report also finds that 23% of female consumers aged 16-24 who have had hair treatments or services in a salon are interested in using smart mirrors to digitally view their desired style or colour before committing to an appointment. We’ve seen an explosion of new technology and successful beauty start-ups that are tapping into consumer demands for seamless experiences across channels. Yet some larger brands have been slower to transform and adopt some of these advances in technology to enhance and simplify customer experiences. Brands that have focused on innovation have used it as a competitive advantage, it’s helping them to stand out from the crowd and meet the demands of increasingly sophisticated consumers. For several years now we have seen an increase in both the number and the popularity of beauty and lifestyle bloggers. They share their purchases, beauty tutorials and have been able to amass a large social media following. This influence, in turn, gives them huge potential revenue earning power from brands. It’s beneficial for brands to collaborate with them to reach their huge fanbase. In the UK, Pixiwoo (make-up artists Sam and Nic Chapman), have more than 200m views on YouTube. Zoe Sugg AKA Zoella and her friend Tanya Burr are rumoured to be able to charge brands £20,000 for product placement in their YouTube videos. Zoella has over 7 million subscribers. In the US, beauty blogger Kristina Bazan has signed a contract with L’Oreal that will reportedly provide seven figures a year - although neither party has confirmed it. Famous reality star Kylie Jenner launched her own app which includes beauty tutorials, styling advice and videos of her favourite products. She has over 95 million followers on Instagram. As at 15th March 2016 it was in the Top 100 most downloaded apps overall in the UK (App Annie), and in the US Kylie’s app was downloaded 1.75 million times during its first week of availability (Apptopia). The App revenue model is a $3 dollar monthly subscription fee. Blogger Lisa Eldridge has been appointed as creative director of make-up for Lancome, and 16-year-old former Disney star ‘Hannelius’ has launched app ‘Make Me Nails’ that allows people to create their own custom nail wraps; she also has over 3 million instagram followers. The app had 60,000 downloads within three days of its release. One of the reasons these personalities are doing so well is that they relate, listen to and understand their followers. They provide positive and friendly beauty advice, reviews, tips and more content than many major brands are providing about their own products. Brands are finding that when they collaborate with influencers it can drive instant success. Within the last few years, some apps have exploded on the scene and grown steadily in popularity. These include smart mirrors with smart facial detection that allow you to virtually apply make-up on your image or photo, but also brands that are using mobile as a key part of their strategy to delight customers by offering seamless channel experiences and integrated loyalty. Youcam Makeup, YouCam Perfect and others in the suite from Perfectcorp.com have racked up over 200 million downloads globally. These figures position the company as one of the Top 10 fastest growing app developers in the world (data from mobilecore.com). The Youcam Makeup app gives users real-time makeovers. 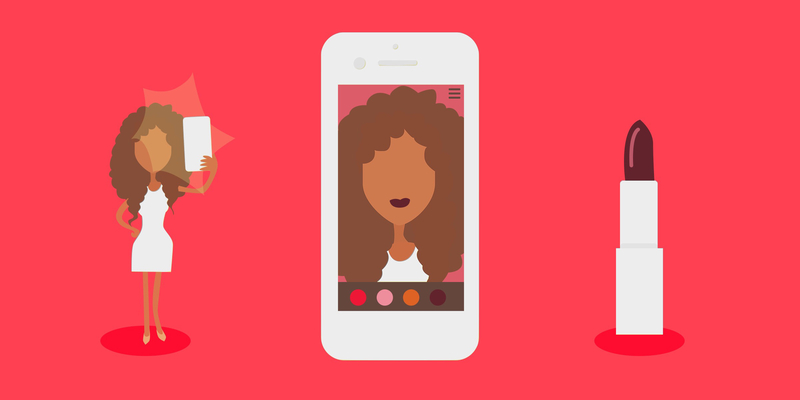 Smart facial detection allows you to virtually apply makeup on a selfie photo or in real time. Every day over 30 million photos are taken. The app includes beauty tutorials and a ‘beauty circle’ that allows you to engage with other ‘beautyists’. In the Beauty Circle social network, you can shop and review make-up products from other brands. In February 2016 Youcam announced a partnership with prestige brand Elizabeth Arden. The virtual makeup “super app” will exclusively feature Elizabeth Arden’s skincare-infused colour cosmetics within the virtual makeover interface, with the option for direct purchase from ElizabethArden.com. A tablet version will be also be rolled out at select Elizabeth Arden counters nationwide. YouCam is partnering up with celebrity makeup artist Kristofer Buckle. The app is loved by customers who have downloaded it, with a review rating of 4.5 stars on iTunes. The users like trying out new looks, which it allows them to do quickly and easily. They also like using the app to create selfies they share on social media. There are other similar apps launching that allow you to apply make-up virtually. L’Oreal are using digital to drive competitive advantage. They launched the Make-Up Genius App in 2013. It was apparently developed by L’Oreal’s Digital Incubator, a small technology team based in New York City and technology partner Image Metrics. It is a mirror that allows for foundation and make-up to be applied in real time to your face, matching your skin tone. 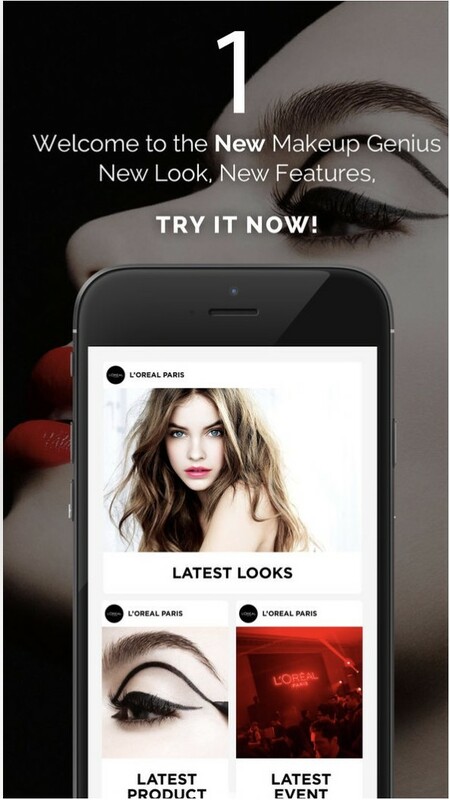 L’Oreal states that almost 20 million users worldwide have downloaded the app to try their make-up before buying. The Body Shop, originally founded by the late Anita Roddick has considered its approach to loyalty and how this can work on mobile. Its app has ranked inside the Top 50 downloaded apps in the UK according to App Annie (30th March 2016). 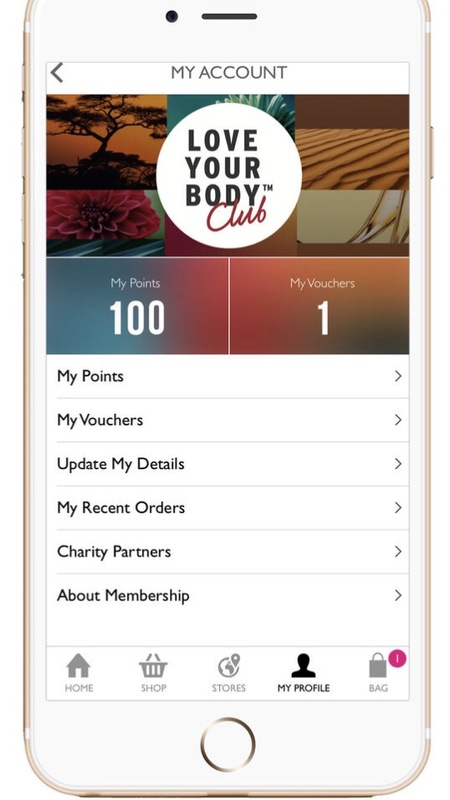 The app allows you to earn LYBC (Love Your Body Club) loyalty points and vouchers when shopping. You can buy product from the app and you can also checkout with Paypal and Paypal Express. You can easily find your favourites and what’s new, check your points balance and your vouchers within the app. It also recognises your birthday and allows you to track gifts you have found for friends. Furthermore, you can easily find your favourites and what’s new, as well as check your points balance and vouchers within the app. Unfortunately for the UK beauty bunnies, the Sephora app is only available in the US. According to App Annie, it was in the Top 50 most downloaded Apps in the Lifestyle section of iTunes (30th March 2016). There are reportedly over 2 million users of the app and it has a 4.5 star review rating on iTunes - customers love it. The app is fully integrated with Sephora’s loyalty programme Beauty Insider, and the app keeps you signed in to your beauty insider account. Sephora’s Beauty Insider program has three tiers depending on your level of beauty obsession. Anyone who signs up for the free rewards card gets a free birthday gift, access to in-store beauty classes and exclusive seasonal promotions. When you’ve spent over $350 you unlock a new status called VIB (Very Important Beauty Insider). At this level, you’ll get advance access to new products, private shopping events and seasonal gifts - and if you spend over $1000 in a calendar year, you’ll also get free delivery on all orders and unlimited access to the beauty studio for free makeovers, facials and one-on-one beauty consultations. In the app, you can view your balance, see your rewards, get free samples and keep track of every transaction you have made. The integration with Apple Passbook allows Sephora to send messages to loyalty members when they are in or nearby a store. The app seamlessly links a shoppers experience across digital, mobile and physical spaces. A loyalty member can receive personalised recommendation based on their profile - from purchase history to more specific attributes like skin tone or type. The Sephora Virtual Artist tool has also been added to the retailer app. It helps customers test the products using augmented reality technology powered by Modiface. ModiFace tells brands that its technology can increase conversions online and mobile by 80 percent and in store by 30 percent if used properly. An add to basket button is featured at the top of the screen as the colours are tried on. Sephora has excellent reviews from its customers who love the brand and the Beauty Insider loyalty programme. Sephora has also launched a new retail concept store with in-store tablets, phone charging stations and a selfie mirror to help customers experiment. Sephora’s new smaller Flash 3.0 store concept on Paris’ Rue de Rivoli welcomes shoppers with a mini robot, which encourages them to browse the shelves or a digital catalogue, download their selections into a virtual basket via near field communication (NFC) cards and then collect their products in-store or have them delivered to their homes. 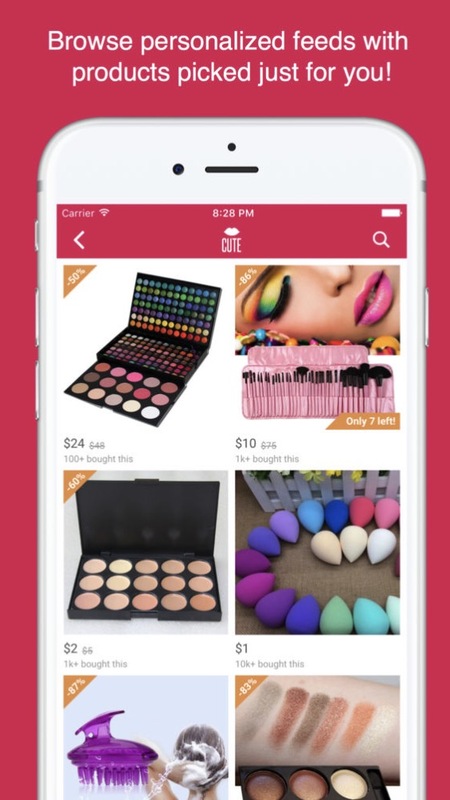 The Cute Beauty Shopping app has had over 5 million downloads on Android alone, and has consistently been in the Top 100 download chart in the shopping category in the UK and US; it liaises directly with manufacturers to get between 50 and 90% off the retail prices of products (App Annie). It has a 4.5 star review rating, within the app you can order, track and then pay for items after you have received them. You can also create your own wishlist and the items on the store have reviews to look at before you buy. Reached Top 100 in Shopping section on App Annie with over 1 million downloads on Android alone. When you download the Beautylish app its asks for more information so it can create your beauty profile and you upload a photo. The Beautylish app allows you to shop several luxury brands including By Terry, Charlotte Tilbury, Eve Lom and Kevyn Aucoin. Each item has reviews from other users, a link to photo’s with the product, related editorial and relevant products. The iPhone app feels like a magazine and it is full of user-generated content. If you have products that you don’t know how to use, search through photos by brand to see how other people are using and you can also add your own photos or comment on others. The Lush app has featured in the top 20 rankings in the UK in both the lifestyle and shopping categories on iPhone (App Annie). You can browse all Lush products and shop through the app, as well as locate your nearest store and get access to ‘Fresh from the kitchen’ products and editorial content. You can also login to your Lush account and see your previous purchases. Rimmel lets you use a personalised augmented reality mirror that lets you try out other people’s make up styles - you can also try on Rimmel London looks and shop from the app. 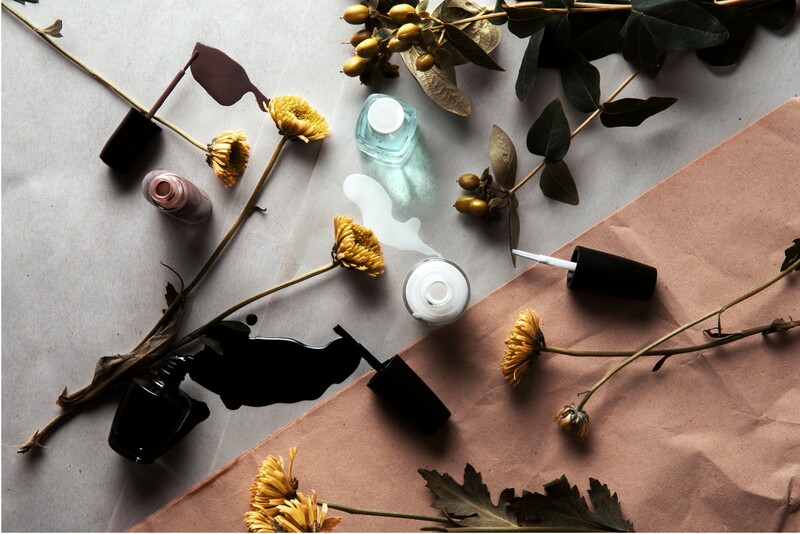 The team in the ribot studio are interested in health and beauty products to varying degrees, with some clearly falling into the ‘beauty addict’ category. Most of us have at some point bought toiletry or beauty products from a department store or health and beauty pharmacy. What’s been key in our purchase decision has been the product benefits, ease and quality of service, loyalty scheme and price. Some of our favourite brands are making it easier than others to purchase from them and reducing friction from the experience. John Lewis is a favourite because they stock brands we love. If we want to shop brands like MAC, we can conveniently click and collect and pick up from a nearby Waitrose in our lunch hour. Some of the team are already loyal to Boots and the Advantage card programme, using the app to varying degrees of success to obtain offers, but wishing we didn’t have to still keep and use our plastic cards in store so that the experience was more seamless. Here’s a quick overview of some of the most popular department stores and pharmacy stores that stock beauty brands and what they are doing to keep customers loyal. John Lewis reported that over the 2016 Christmas period they enjoyed a surge in shopping via mobile phone with shoppers clocking 31% more purchases via smartphones and tablets. John Lewis increased sales of clothing and beauty by over 6% during the period as a whole and that growth was largely a result of strong demand online which accounted for 40% of the chain’s total sales over the period. It’s been reported that more than half of all John Lewis items bought online are fulfilled by click and collect. The app allows you to shop beauty brands online and simply and easily add chosen products to your basket. You can see product descriptions and reviews of each item and ratings online, plus easily order for delivery or click and collect. You can see your previous purchase history too. There is little in the way of beauty tips or editorial within the app, however. John Lewis reports that 64% of customers shop across channels with few sticking to online only or store only. The ‘My John Lewis’ loyalty programme has over 2 million members. You can use the app and add your digital loyalty card to Apple Wallet from the app. The membership includes a mix of seasonal rewards, vouchers and treats that can include beauty offers and exclusive shopping events. Traffic to John Lewis.com is primarily from mobile. Boots has one of the most popular loyalty programmes with over 17.9m active members, you get 4 points worth 4p for every £1 spent. It is also one of the most downloaded apps, it consistently appears in the Top 20 most downloaded apps in the UK shopping category according to App Annie, it has over 500,000 installs on Android. This app should be good and its popularity can’t be ignored, but customers have rated this app only 2.5 stars overall. One of the biggest problems seems to be the process of adding offers to your advantage card. Some customers are reporting this isn’t seamless, with some saying it is taking two to three hours for the offers to be available via their advantage cards. This is useless if you are in store wanting to use the offer there and then. Other customers are reporting problems with the UI and overall usability of the app - slow responses, the app not being able to simply and easily add items to the basket and items disappearing from the basket. Ideally as well as being able to view your points total and offers just for you, they would be immediately available from the app, you would be able to collect points via the app in store or online, rather than having to use a separate card. Ideally, if you could pay via the app in store too it would make the process easier. The Superdrug Beauty card has 8 million members, you can earn points on purchases and 1 point for every £1 spent with each worth 1p and there are regular points promotions. The Superdrug App is number 26 in Health and Fitness Category (according to App Annie 30th March) and has an overall rating of 3 stars. The app allows you to earn and spend health and beauty points - there is a virtual card within the app, you don’t need a separate card. Once you access you receive member only prices, special treats and a birthday surprise sent to your device. The app tracks your points balance for you. You scan your virtual card to spend in store and voucher barcodes to scan in store. The app also has an option to use a mirror - you would need to physically apply products in store. If you want to buy, you leave the Superdrug app to buy online. 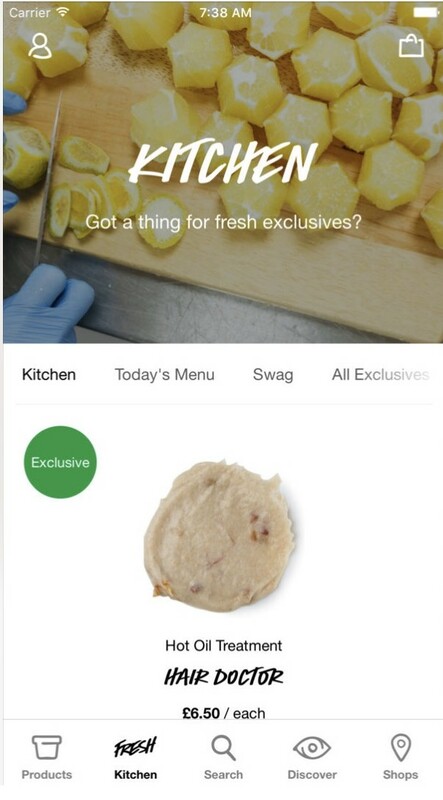 It’s a shame you can’t shop from within the app as the experience isn’t seamless for users. For customers who already have a physical card, some have reported the two not syncing. The Debenhams brand has their own beauty club and it’s available within the app. The brand has seen strong growth in the beauty sector, Debenhams say that non-clothing categories account for 55 percent of revenues. The Debenhams app has consistently been in the Top 100 shopping and lifestyle apps in the UK with a 3 star rating from customers in iTunes. You can accrue 3 beauty club points per £1 spent within the app including offers for extra points and free samples. You can earn points for beauty club within the current app, have extra points offers and get both free samples with purchases and free gifts. When shopping for beauty, you have access to brands and reviews and ratings from other customers before you purchase. You can scan products in store and add it to your bag or save for later. The app is consistently in the Top 50 shopping apps in the UK and has an overall 4 star rating. With this app, you can add products to your wishlist and buy later with just one touch. You can sign into your House of Fraser account and earn recognition points as you shop and convert into rewards. You can use the app in-store to scan and collect points, check in-store availability and you receive exclusive offers and see your order history. You can read product reviews from other customers too. Retail Week report that ASOS is making a play for the beauty market launching an app and exploring own-brand beauty. The e-tailer is currently testing its beauty app with consumer panels and it aims to allow customers to trial products before purchase. GlamScout allows you take pics of your favourite magazine looks, snap a photo and upload it. In seconds the app identifies the make up shades on the eyes, skin and face with product matches from over 80 brands. You can also virtually try on the makeup by using your device’s camera mirror. The Keep Shopping app is a clever universal mobile cart that allows you to bookmark and purchase products from several brands all in one place - helping to create a seamless product experience. It has been described as a “shoppable Pinterest” by the Huffington Post. You can also discover what’s trending, save shopping lists and “keep” items from other users’ profiles. On demand beauty services are shaking up the industry in a similar way to Deliveroo. Blow Ltd and Ruuby are two of those that allow customers to order professional treatments to their homes, hotels or offices on the same day. It’s surprising that some of the favourite beauty brands of the crew in the ribot studio have yet to make it onto the Apple AppStore store or Google Play. Sephora is striking ahead in providing a great omnichannel experience and is driving loyalty via the use of technology, an excellent multichannel strategy and great product. Some of our favourite high street beauty brands like Benefit, MAC, Charlotte Tilbury and Space NK have the opportunity to capitalise on this space, providing seamless multichannel experiences and increasing loyalty to the brand. Benefit have recently partnered with Meitu to offer an Augmented Reality ‘eyebrow’ try on, along with integrated brow e-commerce. Charlotte Tilbury have added smart technology in their Westfield store with the use of an augmented reality ‘Magic Mirror’ that allows customers to ‘try-on’ new looks. Here at ribot, whilst we can buy beauty brands from the big department stores, we like to visit Space NK, Charlotte Tilbury and MAC stores to benefit from in-store expert advice and makeovers and to see a complete product range. We also expect loyalty to be recognised. We’d like to be able to easily make beauty appointments from our mobile, store our favourite purchases for re-order and be able to access loyalty offers, gifts and free samples in whatever channel we want to use with ease. We also want to click and collect quickly and easily. We’re a picky bunch, but we’re not alone. 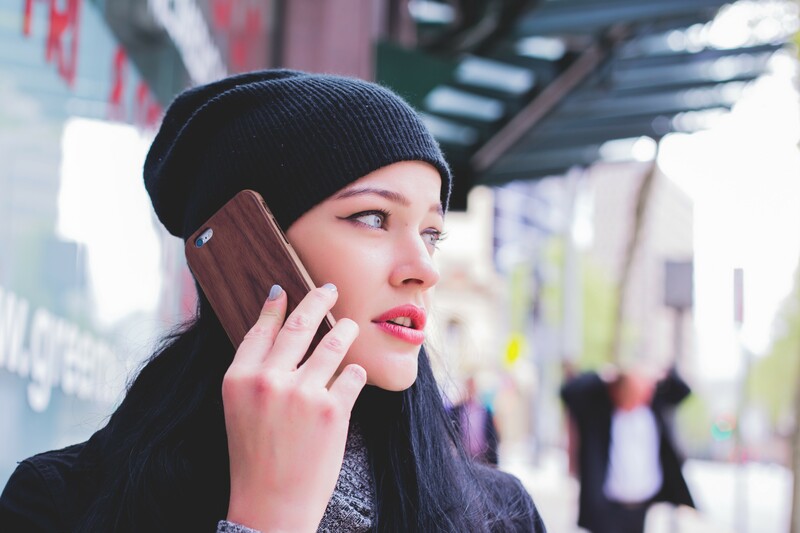 Consumers are increasingly expecting to be recognised across channels. Aside from this, we are relying on beauty bloggers and makeup artists to give us tips on what to buy and how to use the products. This is something that brands could do themselves or even collaborate with the most popular beauty bloggers, but keep us visiting their store or app to digest and understand this content rather than going elsewhere. Content from brands, helping us with application of their products and new looks is something we need and want. There is potential now to provide this help digitally, as well as in store. What’s also surprising is that some of the fast growing online players that we love like Look Fantastic and other well-loved beauty brands like Benefit, Jo Malone and Liz Earle, that have successful high street stores and concessions, have little in the way of transactional mobile apps. We’d love to see these brands maximise the opportunities available to generate loyalty from their customers. What’s the future for beauty? We predict that the brands who connect both the physical and digital shopping environments for customers, incorporate their loyalty programmes seamlessly and delight customers across channels will succeed. Beauty brands need to focus on the customer and use technology to remove friction. Loyalty programmes that have previously been managed with plastic cards can and should be incorporated digitally to reduce friction. Reducing the time it takes to get product will be an advantage. John Lewis are making life more simple for customers - their successful click and collect service also allows customers to easily pick up products in the lunch hour. Whilst this helps us shop for repeat buys, when trying something new, we are left looking to bloggers and makeup artists to make recommendations for us or visiting a store for expert help. We’re hoping to see more brands provide more beauty content across the shopping experience. Sephora is doing this well in the US with great success. UK brands have opportunities to really enter this space. Sephora connects the consumer’s experience across channels. Their app includes their beauty insider loyalty club and offers additional rewards and benefits in addition to in-store invites for beauty classes and latest trends. 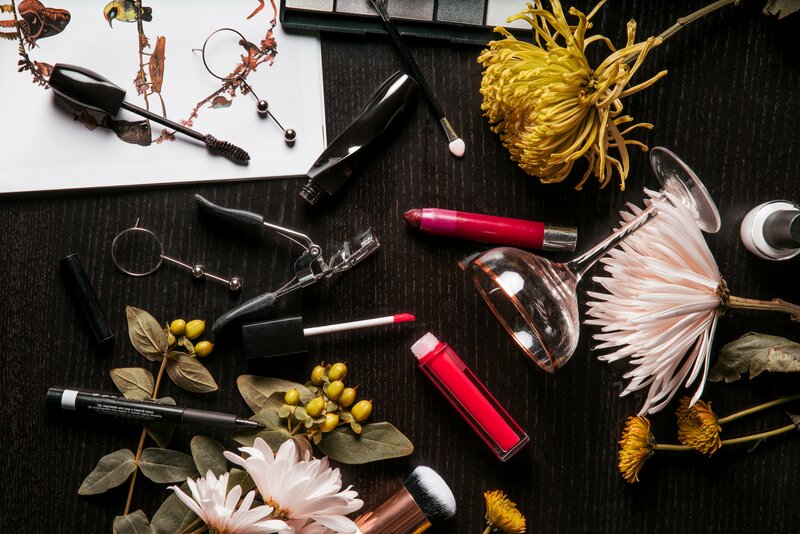 L’Oreal, through their collaboration with blogger Kristina Bazan and her 2 million followers on Instagram and use of an innovation lab to create technology like Makeup Genius are also seeing success and we expect to see more brands start to make further inroads here. At ribot, we innovate and prototype with brands to deliver seamless customer experiences. We put the customer at the centre of the innovation process, which allows us to design and develop magical experiences that integrate both the physical and digital. We use our understanding of behavioural psychology, design and technology to make many lives both easier and better. We’ve been working with retailers since we became an innovation partner for Tesco and helped them launch their first mobile app back in 2009. Want to find out more about how we can help your beauty brand innovate? We can help create seamless experiences across both physical and digital environments and maximise customer engagement across their journey. If you want to share your key priorities and challenges with us, we’d love to have a chat and provide advice. You might also be interested in our Harris+Hoole case study, seamlessly fusing the digital and physical and using mobile to enhance the in-store experience and our work with luxury shoe retailer M.Gemi.